A massive model of the infamous B-29 Superfortress. This comprehensive Parts Set includes hundreds of accurately laser cut parts, including ribs, formers, bulkheads, nacelle parts and all the other time-consuming parts. 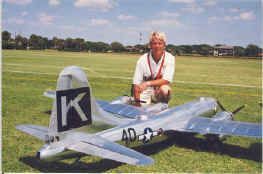 Scale 1/12 Power .91 Wingspan 141 in. / Length 99 in.